along with cedarwood “Atlas” essential oil for a clean woodsy scent. Cedarwood “Atlas” is sometimes thought of as a masculine scent and is a popular addition to men’s grooming products. That doesn’t mean that this soap is just for guys though; the scent is a favorite of many, including myself! In this recipe, I offer two different scent options. If your essential oil supply is limited, you can use just cedarwood essential oil. If you have them available though, a small amount of vetiver and clove essential oils really adds a wonderful depth and helps anchor the scent. Measurements of oils, lye and distilled water are by weight. An accurate scale is required to make soap. 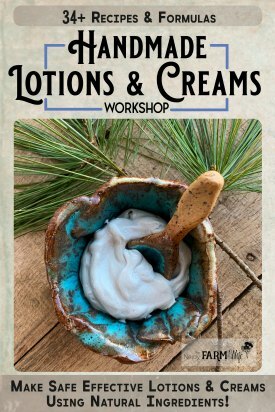 * For a light scent, use 20 grams of cedarwood “Atlas” essential oil, or for a stronger scent try 30 grams. 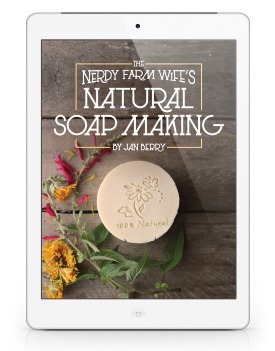 If you’ve never made soap before, be sure you’re completely familiar with the process before proceeding. 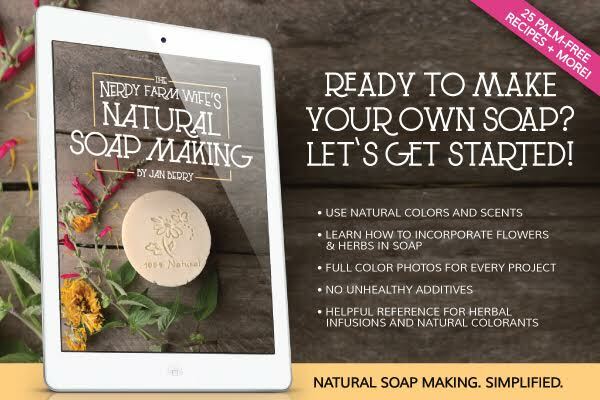 plus a small private Facebook group where you can ask me soap making questions and share photos of your projects! Add the French green clay to the hot lye solution and stir well until incorporated. Set the lye solution aside in a safe place where it won’t get disturbed and allow it to cool down around 30 to 40 minutes before mixing with the oils. Weigh out the coconut oil and melt it in a double boiler or over low heat until melted. While that melts, weigh out the olive and sweet almond (or sunflower) oils and place them in a heat-resistant soap making pot, bowl or pitcher for mixing. Pour the hot melted coconut oil into the other oils. That should bring the temperature up to somewhere around 90 to 100°F (32 to 38° C). Pour the lye solution into the warm oils. Using a stick or immersion blender (looks like THIS and is not a handheld mixer) stir the solution with the motor off for around 30 seconds. Turn the motor on and blend for a minute or so. Stir for another 30 or so seconds with the motor off, then again with the motor on and so forth. Don’t run the stick blender continuously so you don’t risk burning out the motor and/or causing excessive air bubbles in your finished soap. Alternate with this method until a light trace is reached. 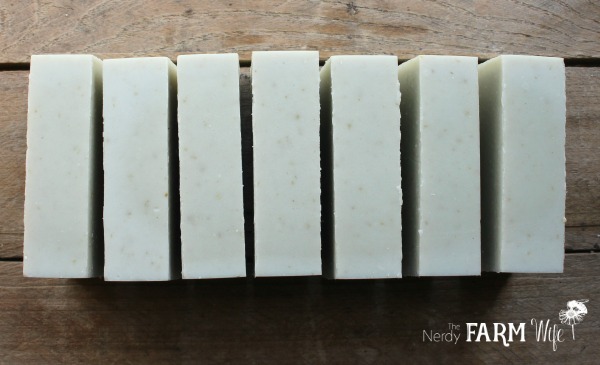 “Trace” is when your soap batter gets thick enough to leave an imprint or tracing, when you drizzle some of it across the surface. 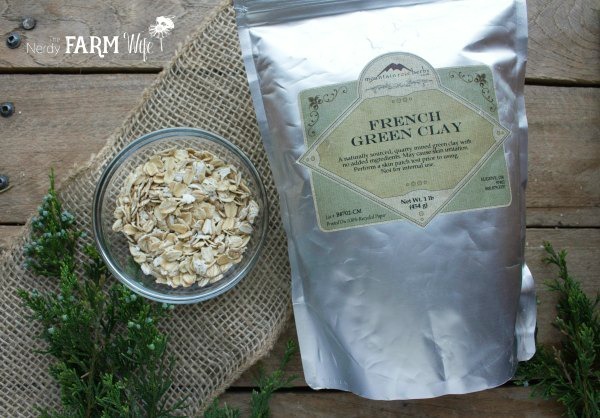 At light trace, stir in the finely ground oatmeal and essential oil(s) by hand until thoroughly blended. This is a cold process soap recipe, which means you don’t cook it or add any extra heat, so at this point it’s ready to pour into the mold. After pouring, cover gently with a sheet of freezer or parchment paper, then a blanket or towel to help hold in the heat. Peek at your soap every so often. If you see it developing a crack down the middle, it’s getting too hot, so move it to a cooler place in your house. You might see it change from darker to lighter colors in spots and even take on a translucent, jelly type texture, especially in the middle. That’s all perfectly normal – it just means your soap is going through gel phase. After 24 hours, remove the freezer/parchment paper and blanket/towel, then let your soap stay uncovered in the mold for 2 to 3 days or until it’s firm enough to release fairly easily. Step 7: Cure and Enjoy! 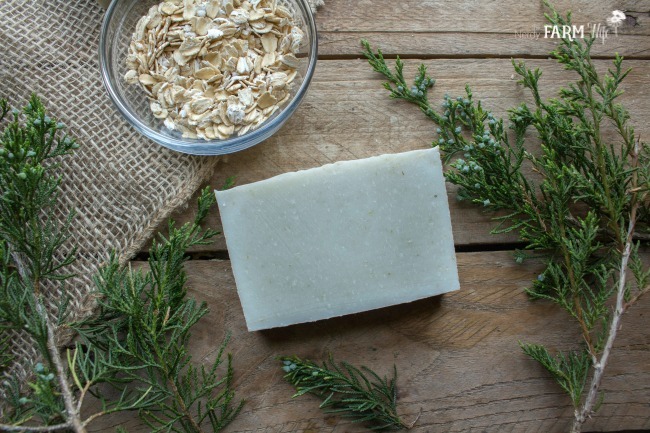 After unmolding the loaf of fresh soap, allow it to sit in the open air for another day or two, if needed, then slice it into bars. Cure the cut bars in the open air for at least 4 to 6 weeks. 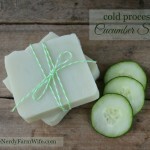 This time is needed to evaporate out excess water, making sure your finished soap is harder and lasts longer when used. 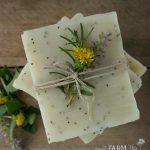 Store the finished soap in a cool area away from excess heat, sunlight and humidity. Tagged cedarwood, natural colors, oatmeal. Bookmark the permalink. Everytime I have made soap it turns out looking very nice but after a few days in the soap dish it gets very soft. 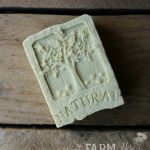 Was wondering if this recipe makes a hard soap or will it get soft soon after? I am just a beginner so maybe I am doing something wrong? If you have any suggestions they are more than welcome. Hi Sandy! How long are you letting the soap cure for? After the 4 to 6 weeks of standard curing time, it might need a few extra weeks too – this time allows the extra water to evaporate out, making it last longer. You may also be using too much water in your recipe. You can reduce the water amount down to 2 parts water to 1 part lye. (So if a recipe needs 1 oz of lye, use 2 oz of water.) That will make it reach trace faster though, so be prepared to work more quickly to add in essential oils, etc before pouring into a mold. Also, what type of soap dish are you using? One with slots or drainage holds that lets the water easily drain out will help a lot! It’s the soap dish. Make sure to get the type of dish that does not have the soap sit in a puddle. Sitting in a puddle will make a natural soap get soft. Get a draining type of soap dish. Most are made of wood. Buy two (you can find some inexpensive ones on eBay and ETSY) and let the dishes take turns drying out every 3 weeks or so and the wood will last a good long time.